Besides their time in Belson’s kitchen, the two also began traveling to as many breweries as they could in order to pick the brains of brewmasters they admired like Nate Lanier at Tree House, Jack Hendler at Jack’s Abby, and Father Isaac Keeley at Spencer, the country’s only Trappist brewery. For several years in a row, they attended the annual Craft Brewers Conference to talk with equipment manufacturers and lock up suppliers. Belson even hijacked a friendly overseas trip to Germany, making last-minute adjustments to his family’s itinerary in order to visit Bavarian hop fields and the Hop Research Center in Hüll. Finally, the two left their jobs, Segerson at Truro Vineyards and Belson at The Cape Codder, to lease a 5,500 square foot facility at 120 Great Western Road in South Dennis. 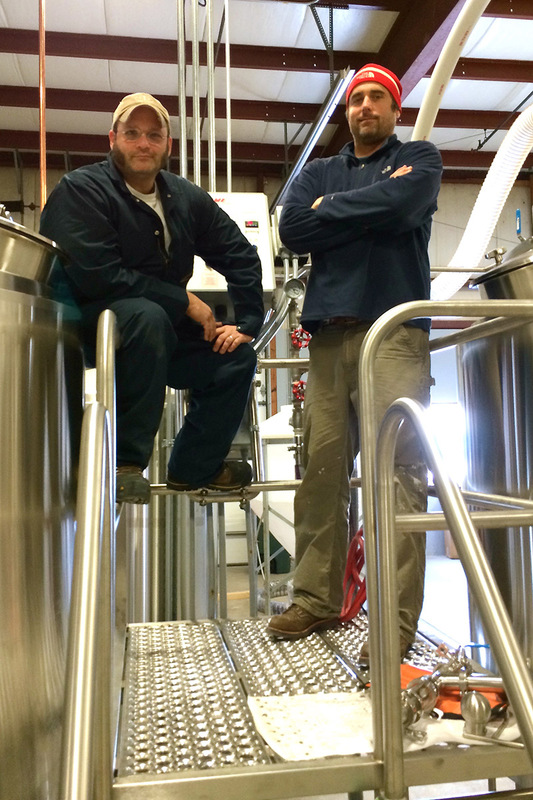 Set to open on Memorial Day weekend, Devil’s Purse Brewing Company (named after the skate egg capsules that wash up on the beach) will focus on European influenced ales and lagers like their Surfman’s Check ESB and Skatemouth, a malt-forward pale ale finished with an infusion of U.K. Challenger hops. In addition to Devil’s Purse’s four year-round beers, Belson and Segerson will dedicate one of their seven-barrel fermenters to focus on one-off selections such as a winter stout brewed with a Belgian saison yeast strain and a small batch IPA featuring hops from New Zealand. And during the Cape’s offseason, when foot traffic and tourism inevitably slows, the brewers say they’ll redirect their efforts to beers that take longer to mature, like an autumn line of bottle-conditioned farmhouse ales. 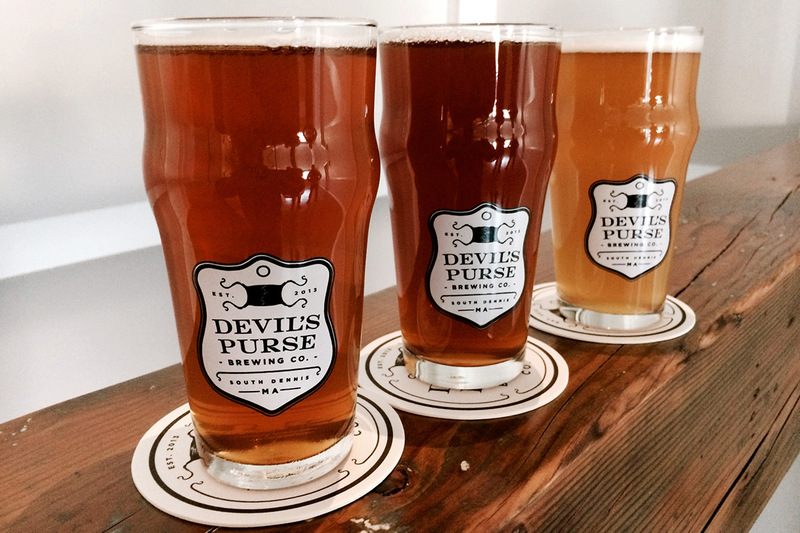 Devil’s Purse Brewing Company will start off as a draft-only brewery, producing kegs for area bars as well as on-site samples and growler fills. This fall, they’ll start bottling their line of small batch saisons in Champagne-style 750ml bottles. Hopped with Northdown and East Kent Goldings. Malt driven by Warminster floor malted Maris Otter with small amounts of Simpsons dark english crystal and a touch of Crisp Pale chocolate malt. Taste is rounded with a sweet and spicy up front flavor with a dry finish and a cleansing hop bite. A malt -forward Pale Ale. Sweet malt flavor derived from Warminster floor malted Maris Otter with a delicate edge brought from Dingemans Pilsen Malt. The beer is finished with an infusion of U.K. Challenger hops providing notes of spicy orange marmalade. Packed with Chinook, Apollo, Colombus, Ultra and Warrior hops. this solid IPA has a dry finish with a perceived sweetness and spicy flavors to balance bitterness with added aromas of pithy citrus fruits. Our interpretation of a German-style kolsch. Mildly hopped with Vanguard. This unlfiltered rendition has pleasant aromas akin to lemon zest and cut grass, a dry finish and refreshing taste. This provisional saison is brewed with tradition in mind. We use U.S.A. grown noble-esque hops, prodigious dry-hopping, French saison yeast plus two strains of Brettanomyces. This dry, funky, effervescent, highly-drinkable beer is conditioned in champagne bottles and gets more complex with age. Late fall release. 120 Great Western Rd., South Dennis; devilspurse.com.